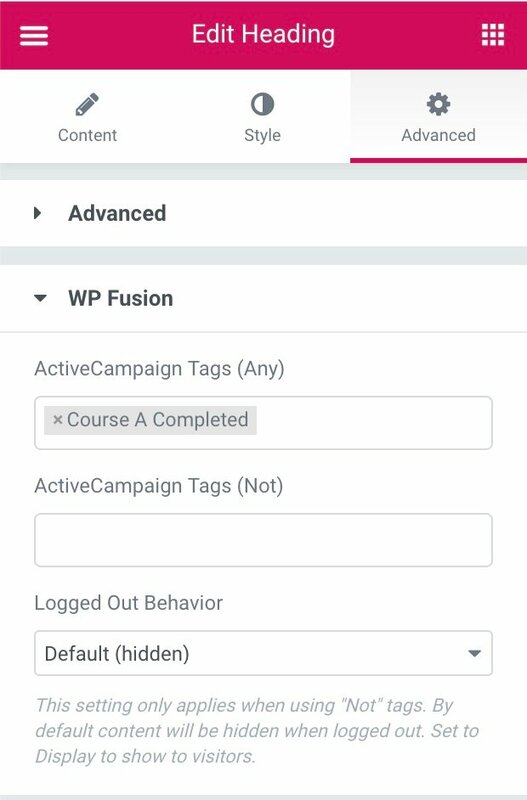 WP Fusion includes an integration with Elementor to let you control visibility of page elements based on a logged in user’s tags. Tags (any): If tags are specified, the element will be hidden from guests, and will only be displayed for users who have at least one of the selected tags. Tags (not): The element will be hidden from guests and logged in users who do not have the specified tags. Logged Out Behavior: This setting is used in conjunction with Tags (Not). By default the content will only be shown to logged in users who do not have any of the selected tags. Change the setting to “Display” to show the content to guests as well. With Elementor Pro, WP Fusion also adds the ability to control the display of popups based on a user’s tags. 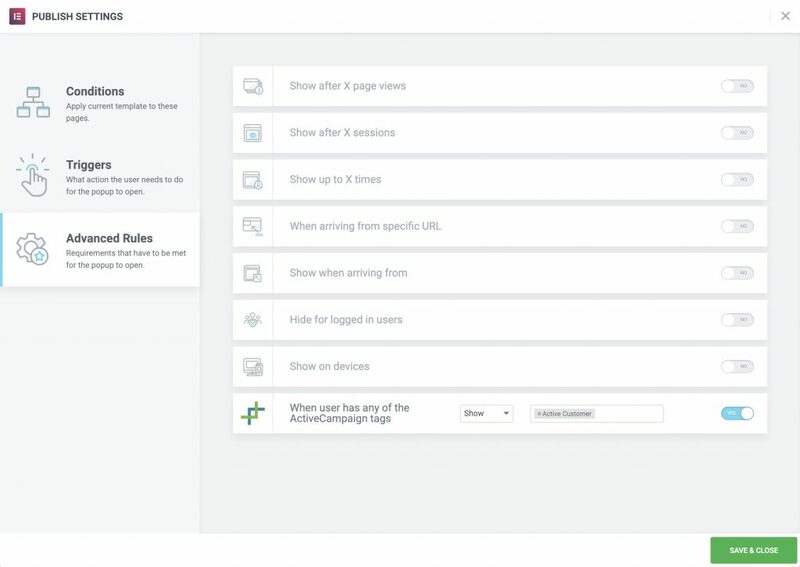 To set this up, first create your popup, and then open the Advanced Rules window. Show: The popup will only be shown to logged in users who have at least one of the specified tags. Hide: The popup will be hidden from logged in users who have at least one of the specified tags.